Storyboards are a fun quiet activity for kids and are very easy to make. This guide contains information how to make a felt storyboard. 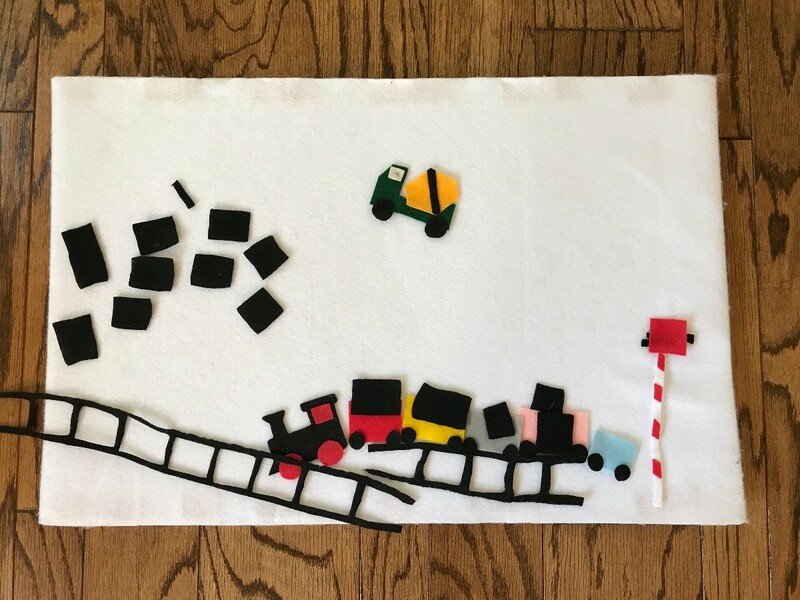 The possibilities are endless when it comes to using felt and creating a story board. This is a fun way to engage reading hands or allow your child to create their own stories. 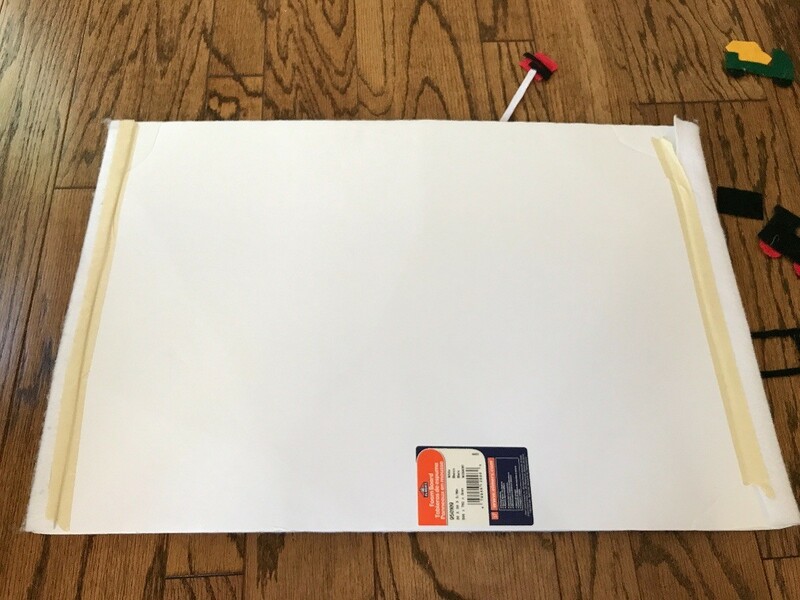 I bought the white felt from my local craft store for less than $3 to cover the entire foam poster board which can be purchased at your local $1 store. Depending on what your child likes, using assorted felt, cut into the shapes of the items you think your child would be interested in and to tell stories of. 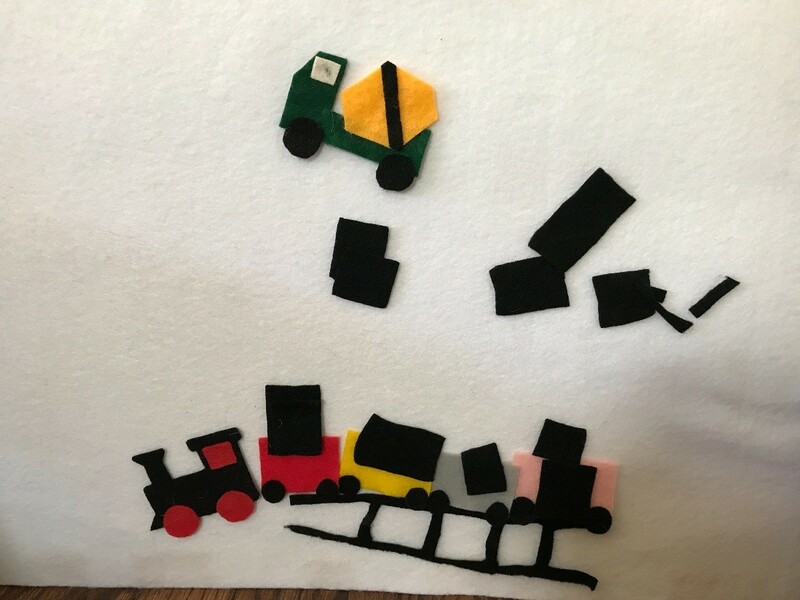 My child is currently enjoying trains and construction trucks/cars, so I freehanded shapes to create them. Using the hot glue I just glued the wheels and small detailing, but for the most part the you won't need any glue or Velcro. The felt pieces stick to each other! Let your child play with the felt and tell you stories or you tell stories using the story board!